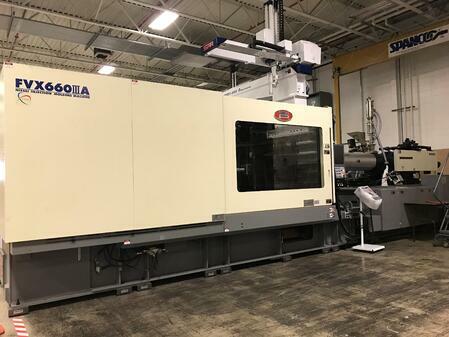 Combining the best of both worlds, hybrid injection molding machines have been on the market for a few decades now, and combine the superior clamping force of hydraulic machines with the precision, repeatability, energy savings, and reduced noise of electric machines. This allows for better performance for both thin- and thick-walled parts. These machines have become increasingly popular over the last few years due to their efficiency and ease of use. Here at The Rodon Group, we recently added seven hybrid presses to our lineup, and now have 23 total. Nearly 66% of energy in a hydraulic press goes toward screw recovery. So while hybrid presses are more costly upfront, their electrified screw rotation can result in significant savings, which can then be passed on to customers. Our hybrid machines have all the force delivered by full-hydraulic machines, with virtually the same energy-efficiency of an all-electric. There’s no one size fits all answer to which type of injection molding is right for you. For certain molding jobs, all three methods could even work equally well, but it’s still important to understand their differences as they relate to your project. No matter what your specific application, an injection molding machine — whether hydraulic, electric or hybrid — should provide you with reliable, high-quality parts while keeping costs down. 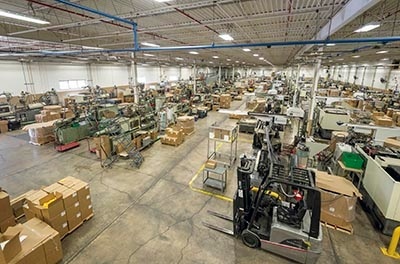 To meet your unique needs, The Rodon Group has 118 Nissei presses at our facility, 75% of which are hydraulic, 20% hybrid, and 5% all-electric. To learn more about our capabilities or to discuss how our fleet of injection molding machines can help you with your high-volume production needs, reach out to us today.